Overview: The City of Charlottesville is located in Central Virginia, approximately 100 miles southwest of Washington, D.C. and 70 miles northwest of Richmond, Virginia. 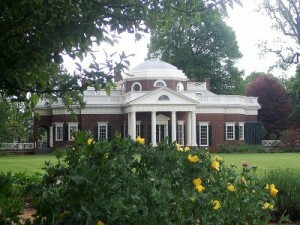 Charlottesville serves as the economic, cultural, and educational center of a multi-county region in Central Virginia. It includes many of the advantages of a much larger community, including theater, dance, and musical performance, art exhibits, and opportunities for swimming, tennis, skiing, hiking, canoeing, and other sports. Nearby attractions include Thomas Jefferson’s home at Monticello, James Madison’s home Montpelier, and James Monroe’s home Ash Lawn. Living in Charlottesville: The City of Charlottesville, locally known as “C’ville”, is consistently ranked one of the best places to live in the United States and is home to a diverse population. In 1998, it became the smallest city in the U.S. to have an International Refugee Committee Site and has embraced refugees from more than 25 countries including Bosnia, Togo, Uzbekistan, Bhutan and Myanmar (formerly Burma). A large migrant population from South and Central American also contribute to an international community within the city. Please refer to the Graduate Guide, which provides much more information on these and other aspects of Charlottesville. 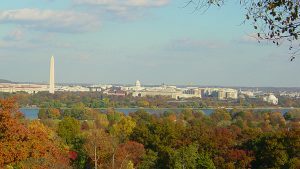 You couldn’t ask for a better place to live and study than in the Washington metro area. You’ll enjoy the area’s many museums, historical landmarks, art galleries, multi-cultural dining, professional sports venues, entertainment and shopping. Public transportation is inexpensive and convenient via the area’s vast Metro rail system, so getting around is easy. From city to suburbs, all is within reach and the diversity of community living options allows for students to choose where they will grow and benefit the most. 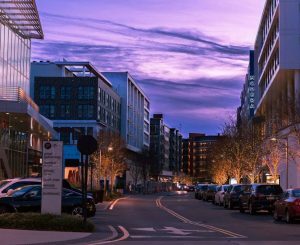 There is a robust offering of housing within walking distance of the Inova Fairfax Medical Campus and a very short distance away from the newly developed Mosaic district that maintains all one needs for the staples of life plus the opportunities to dine and be entertained.